This will come as no surprise to college football fans: Roquan Smith is good at football. The former Georgia All-American and 1st-round pick made his first start for the Bears last night on Monday Night Football against the Seahawks. 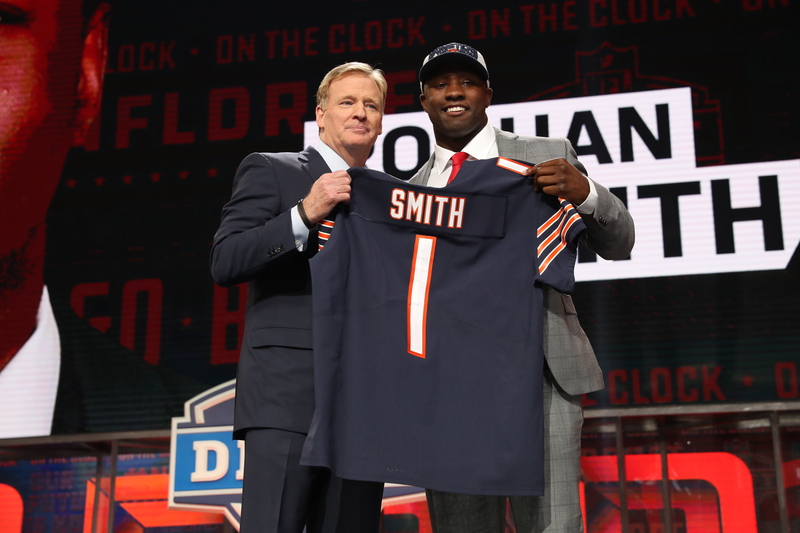 Smith played 89% of the snaps on defense during the Bears’ 24-17 victory, accruing 7 solo tackles and a pass breakup. Some Bears fans weren’t high on Smith after his holdout this off-season, but his play through two games seems to have them coming around. Having Roquan Smith play every snap made such a big difference. Too much closing speed on those check down routes on 3rd downs. Night and day difference between him and Kwiatkowski. Roquan Smith played all but 7 snaps last night. He's not going to be leaving the field on defense going forward. Roquan Smith led his team in tackles apart of a dominating defensive showing. Smith is an absolute stud. Adding him and All-Pro Khalil Mack to an already solid core for the Bears should make this defense really fun to watch going forward.